Fresh production outfit EXEPT take a sure-footed step with their first full debut EP for the seventh release of MethLab’s BNKR concept – a series that acts as the Occam’s razor of deeper dwelling tracks. With the ‘STRONGER’ EP, 4 tracks of lean drum and bass roll onto the dancefloor, with each carrying a unique audio shard, led by the sublime melancholic vocals of JOANNA SYZE for the title track. Exept’s refined production and cutting minimalist approach carve an intricate tech niche in the series progression. Exept aka Michele Iacono and Marco drudi, is an Italian producer/dj duo, based in Rome. Their first official track was signed to Noisia’s Invisible Recordings in the beginning of 2018. This time is there forthcoming release of their first full debut E.P. 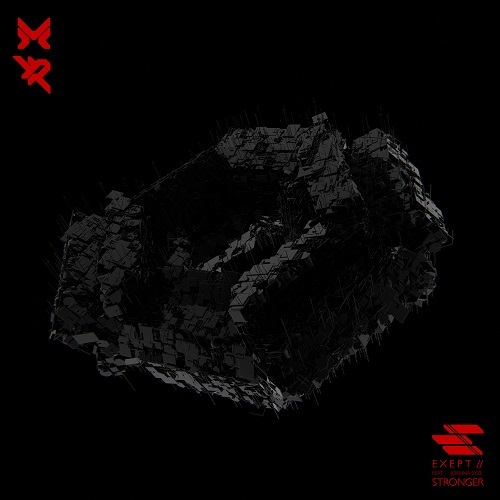 “Stronger” on Methlab Recordings.